Johnson presently tops my list of most intriguing non-fiction writers. He first entered my radar screen years ago when I picked up his Everything Bad is Good For You: How Today’s Popular Culture Is Actually Making Us Smarter. I wanted to read it to debunk his theory, but his astute observations turned my views 180 degrees. More recently, I was floored by the insights on practically every page of his last book Where Good Ideas Come From. 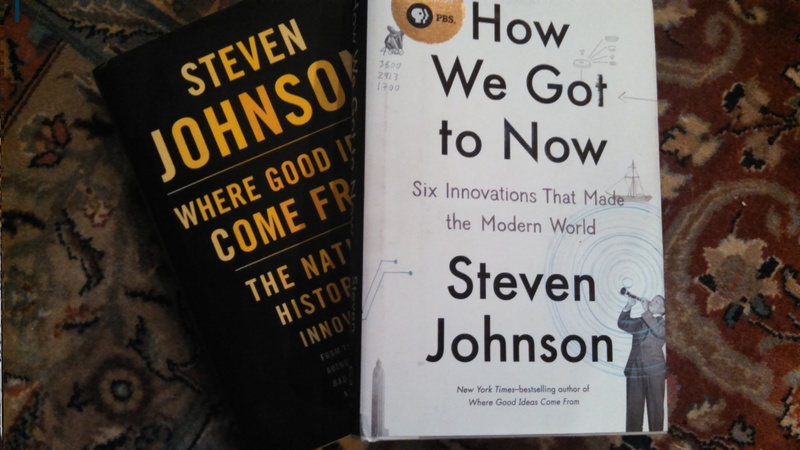 Johnson’s current book expands on some of the themes of his prior book. Most notably, Johnson provides further evidence of the importance of collaboration in the innovation process. The image of the lone inventor is shown to be a myth. Indeed, the light bulb does not deserve to be the symbol of a brilliant idea, it was the result of many parallel and cumulative developments. Thomas Edison, long the poster child of the successful inventor, is quoted by Johnson as admitting “I am quite correctly described as ‘more of a sponge than an inventor.’” Edison’s true talents were in assembling a team to bump into each other with ideas that Edison pulls from elsewhere. The half dozen case studies that Johnson assays are fascinating: glass, cold, sound, clean, time and light. In the case of light, he describes how the notion of second sleep is ingrained in the human physiology, but with the advent of post-candle light people stayed up longer to read. Modern day insomnia owes much to our 24/7 access to light, something essentially unattainable 150 years ago. And as to reading, Johnson points out in his study of glass that the combination of the grape press (for making wine) and moveable type resulted in Gutenberg’s printing press, which in turn leveraged the development of eyeglasses to greatly accelerate the demand for reading material. Johnson’s uncanny ability to draw lines between seemingly disparate events is remarkable. He refers to it as the ‘hummingbird effect.’ One example is that the germ theory of disease reduced infant mortality to a fraction of its 19th century levels. 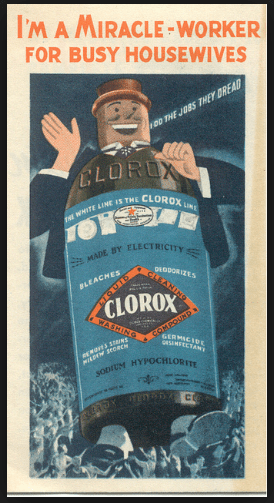 Soaps and disinfectants became markers of modern hygiene in homes, as promoted by advertising. Soap operas and advertising forever shaped the media landscape, an unintended consequence of germ theory. Interwoven in his description of germ theory is the observation that clean drinking water led to clean pools of water and swimming as a leisure activity, which begat ever more revealing attire for women. It turns out that not only is Johnson a very engaging writer, he is an effective TV host. PBS developed a six part series based on the current book, and based on the several episodes I have seen the series will be viewed for many years to come.